We get better at what we practice. I’m not a golfer, but I’m pretty sure you have to practice in order to improve your swing. You have to do so repeatedly in order to develop muscle memory. In the same way, I have to practice looking, seeing. I have to practice writing. I have to practice noticing the connection between what I observe externally and what is going on inside me. I tend to pick up the same worries I have recently resolved to release and then place them firmly back on my shoulders. If that is what I practice, I get better at that; I get better at ignoring the things that calm me, wondrous things. Over and over and over, every day. What kind of worries can be displaced by wonder? What worries do I have? The same ones you have. The same ones as everyone else. Why practice wonder instead of worry? Because it’s possible to walk past the following elephant tree and NOT see a dancing woman. 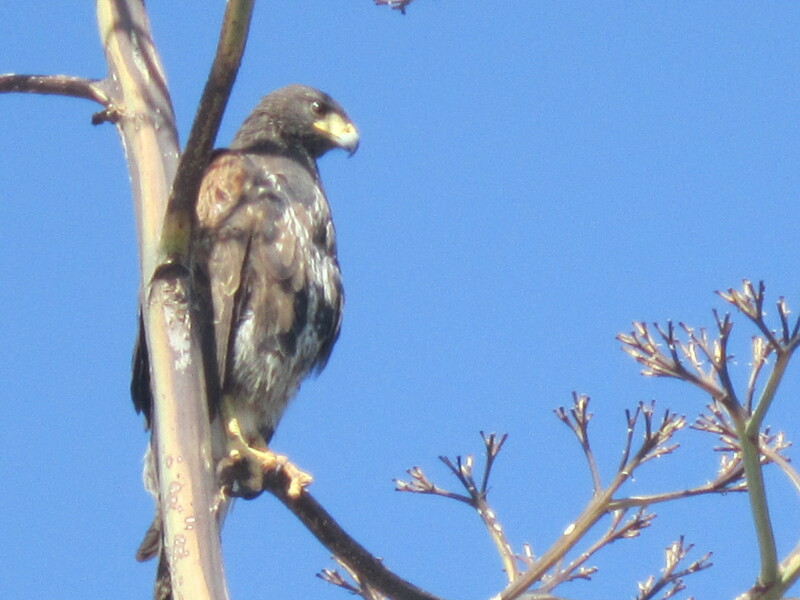 Because it’s easier to drive past a Harris hawk and not stop to admire her fierceness. Because it’s easier to be upset by a mockingbird waking us at 1 a.m. and singing through the rest of the night than to feel blessed by his visit. 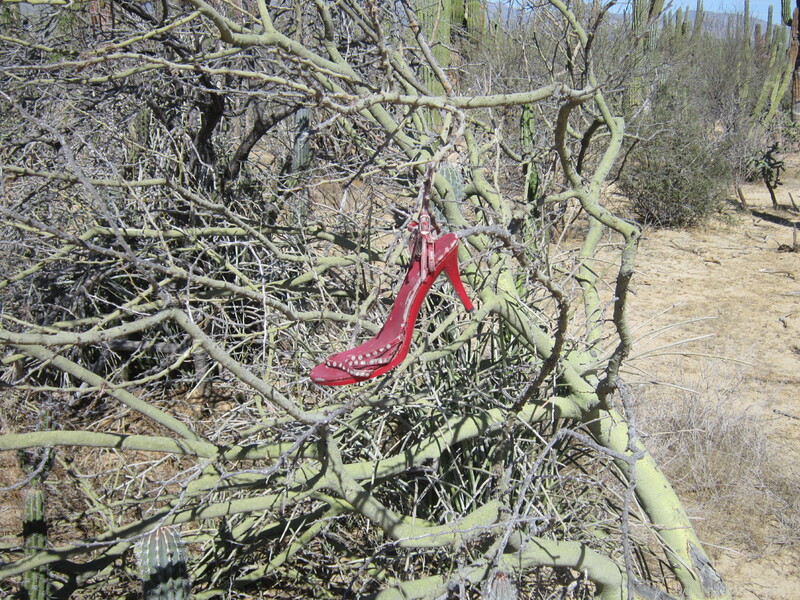 Because it’s possible to see the red shoe someone dangled on the spiny branches of a palo verde tree along a sand road and mentally censure it as litter rather than laugh aloud at its ludicrous placement. Because it’s easier to stay in bed than to watch the sunrise. What does letting go of worries have to do with wonder? For me, everything. And I need the practice. How do you let go of worry? 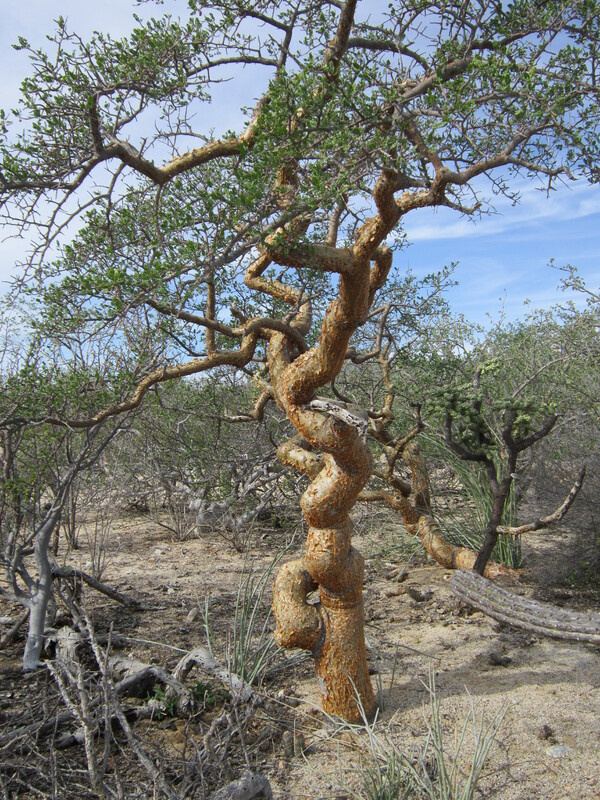 This entry was posted in awareness, Baja, birds, gratitude, landscape, thankfulness. Bookmark the permalink. And I need the practice also. Thanks for your beautiful reminder. Thank you, Mary Beth! I cannot remind myself often enough to notice the beauty of life right now. Wishing you blessings. I guess we need new lenses; I don’t mean rose-colored glasses because I’m a realist, but I do think we can choose the way we view things. Sometimes. With practice. Thank you, Linda! I’m resolved to watch more sunrises. And sunsets. Me, too, Sheri. And I’m looking forward to seeing you soon. Thank you for your kind support!